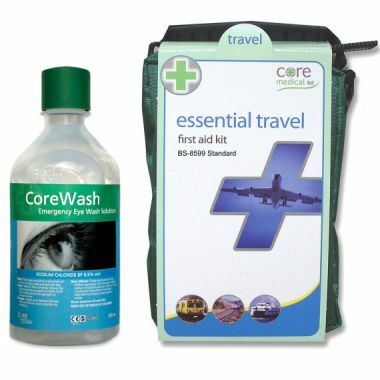 It is important that first aid supplies and medical equipment are kept together in a prominent, easily accessible location. 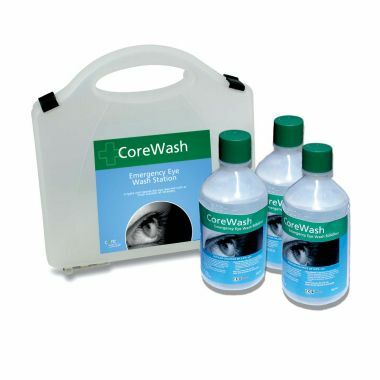 This is made easy with our range of steel first aid cabinets. 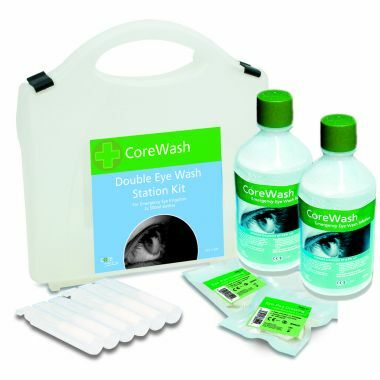 Supplied in white and labelled with the easily recognisable first aid symbol our range of cabinets provides a first aid storage solution for any workplace. 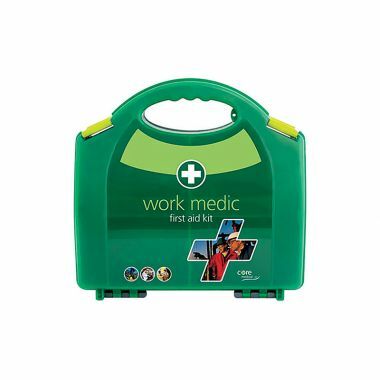 Along with cabinets we also offer a range of first aid kits to ensure your workplace is compliant with the BS8599-1 British standard that governs work place first aid requirements. Why buy First Aid Cabinets? 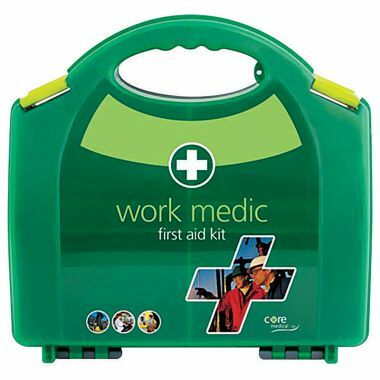 Our first aid cabinets and kits can help ensure you workplace meet health and safety regulations, making sure your workplace is prepared for any accidents that occur. 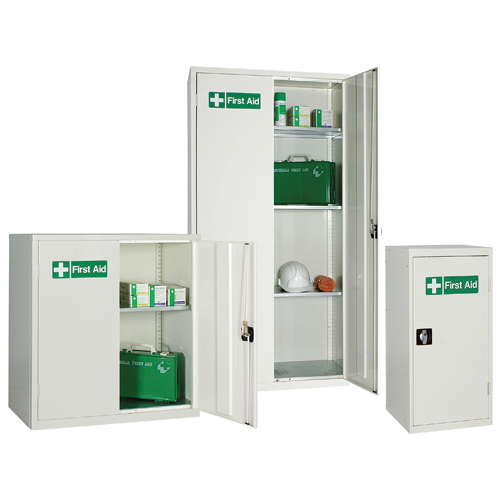 First aid cabinets provide secure and designated location for the storage of first aid equipment and medical supplies. 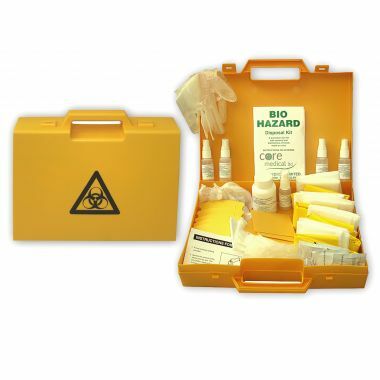 The recognisable design and labelling of the first aid cabinets, makes them easily recognisable to staff when an incident does occur. 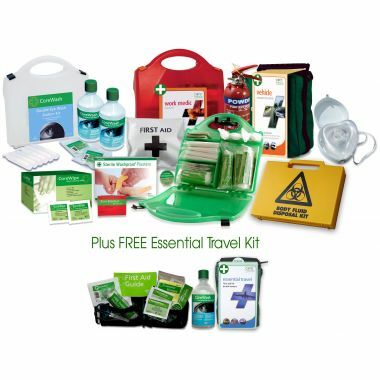 Which First Aid Cabinet should you buy? 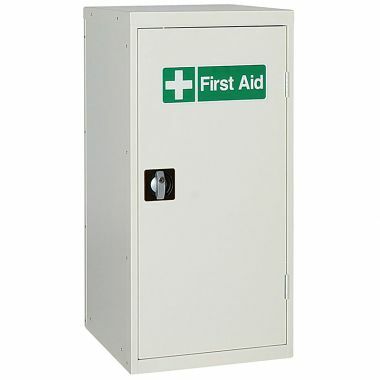 In summary our first aid cabinets are robust well-made units, that are supplied fully assembled for immediate use. We offer a range of 7 size options including our first aid workstation that combines a medical cabinet with a sloping desk. 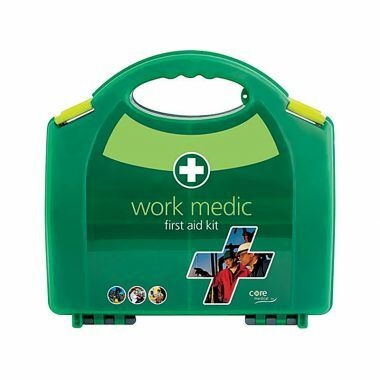 Along with our range of first aid kits we offer a broad range of first aid equipment to keep your site compliant and well equipped if any accident should occur.